Fight shatrats at the edge of the 'zone. Run guns under the well-armed nose of Fleet. Duck through the sewers of the metgacorp worlds, and sneer at the most dangerous fringers. 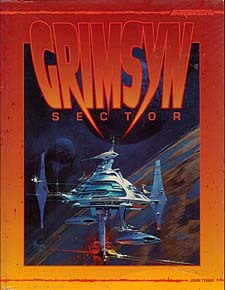 Grimsyn Sector. You might get rich, you might get famous. You might never leave.